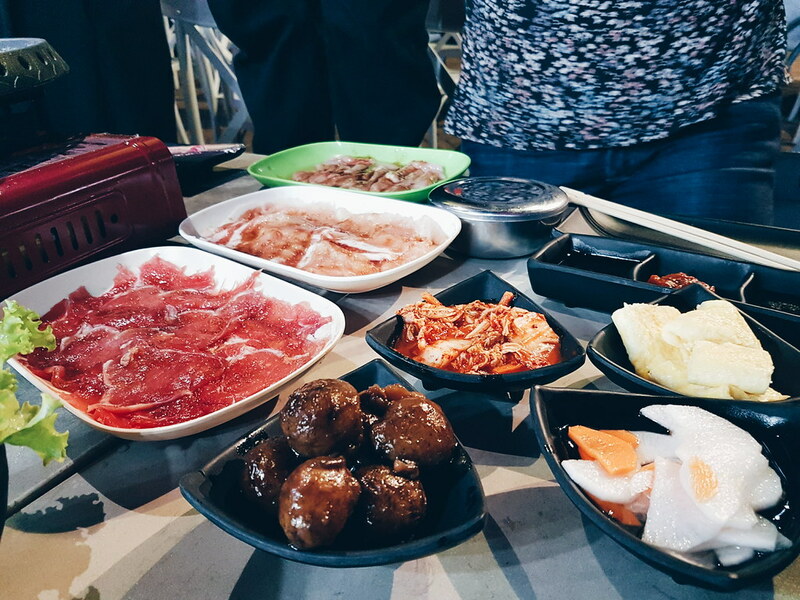 Are you an ultimate fan of Korean food and even “Korean style”? I guess a lot of today’s generation can relate on this. That is the reason why this place will be a perfect spot for you to enjoy your food in a cheaper price. Did I mentioned in a “cheaper” price? 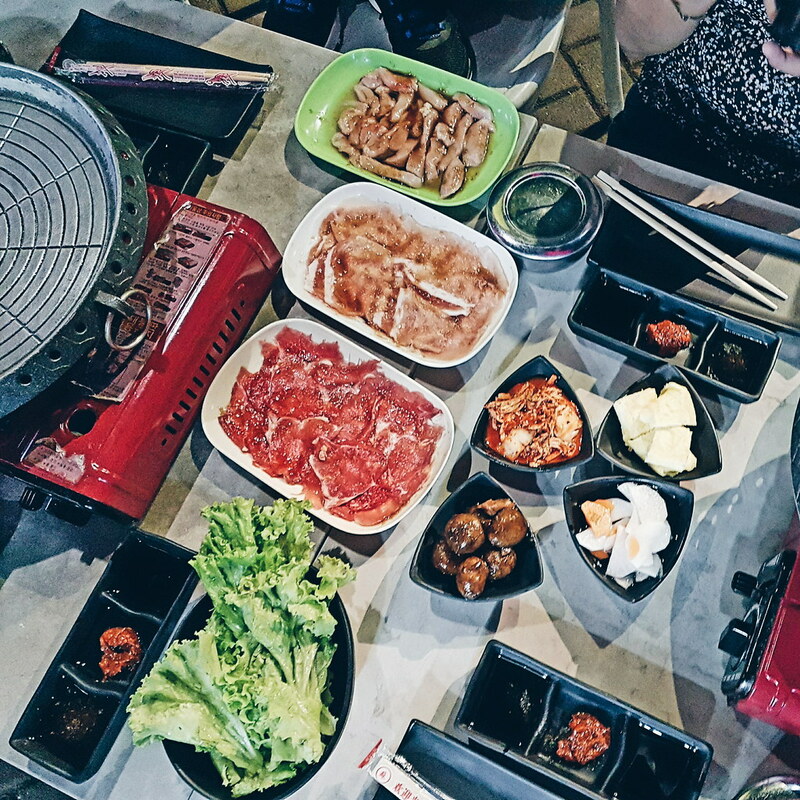 I know you’ll love that idea, specially if you are really on a budget but craving for Korean food. In line with this you can visit their branch now at E Rodriguez Sr. Ave., cor. Cordillera Quezon City, Philippines. Their food store is inside the Le Village food park. It opens from 16:00 – 01:00. First, I am amazed by the idea of putting this inside a food park. 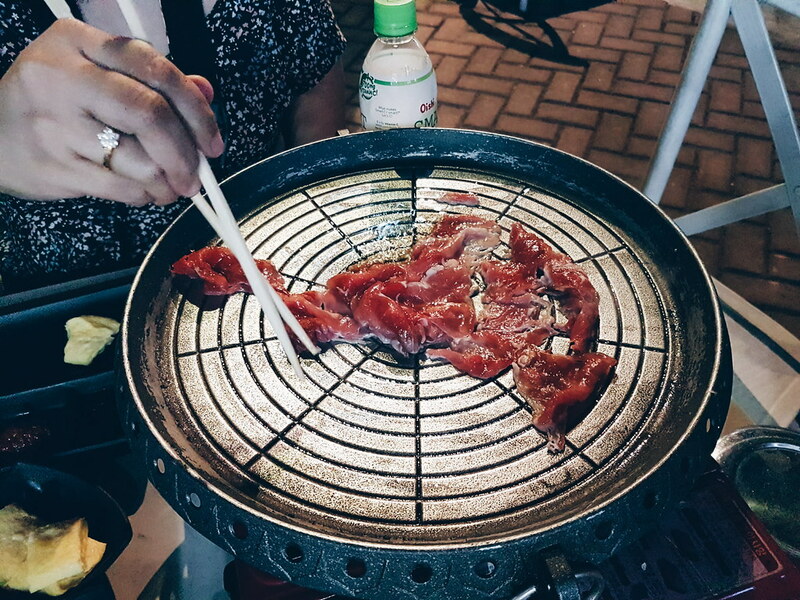 I haven’t heard a Samgyupsal inside a food park until this. I guess this is a great marketing strategy to really introduce it the people. Second, I love their meet and the set of side dish they offer. 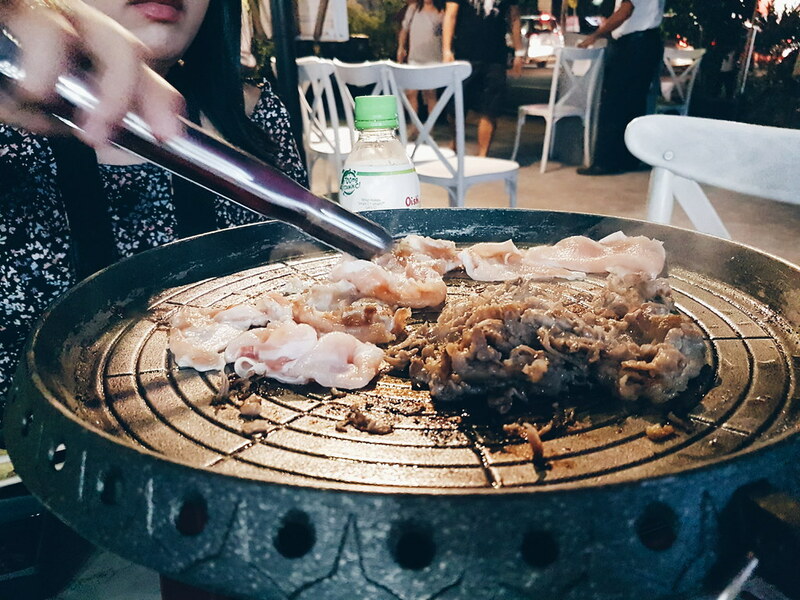 It is my first time to eat in this kind of restaurant and I am amazed by how they prepare their meat. It is thinly cut so that it can be cook quickly plus the quality of their meats are excellent. 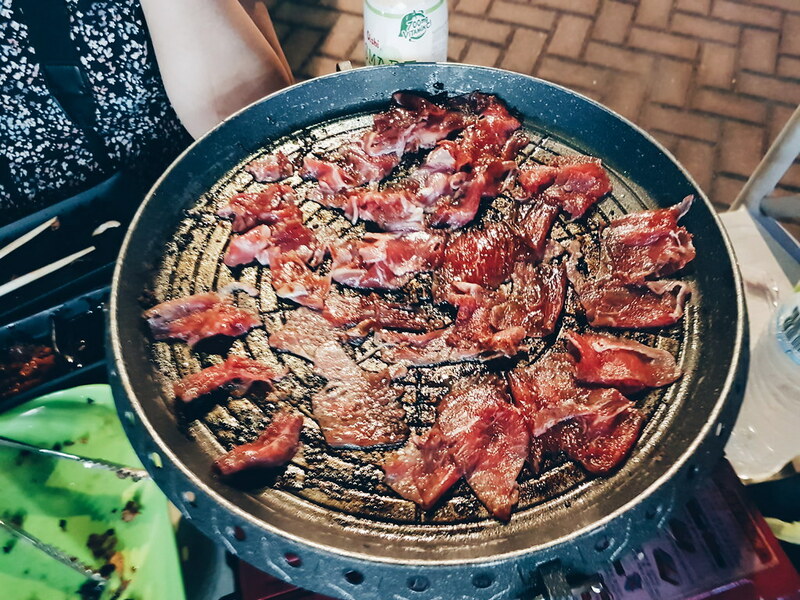 Imagine paying at around 350PHP for a quality set of meat. This place is cheaper than the one inside malls and the one with their own establishment. Third, is I am amazed about their KIMCHI. It is my first time to eat and I was able to eat it. The reason why is because the spiciness is just enough. Yet for those who wants it to be really spicy you can also tell it to them. I am sure you will also love them as much I am right now. You can now message them on their Facebook page. « Tiger Sugar Milktea YAY or NAY?